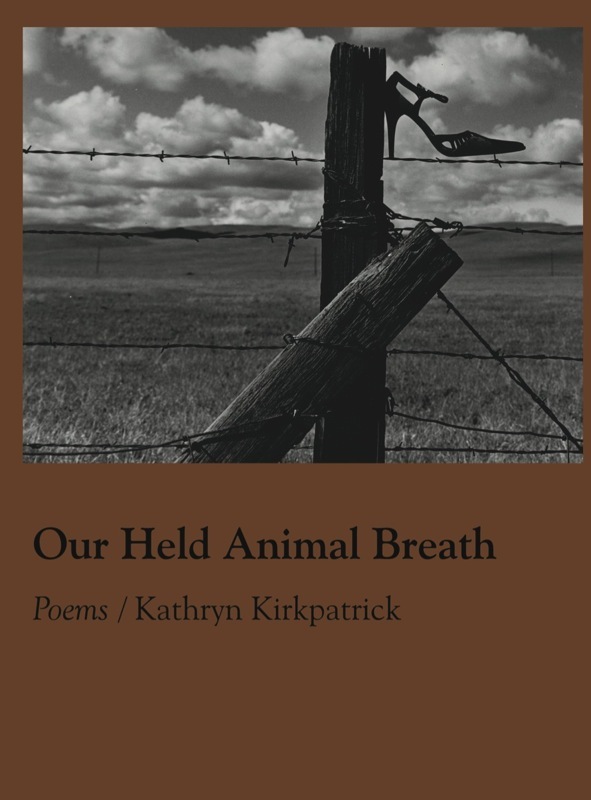 Our Held Animal Breath is a collection of poems grappling with the failure of human political and social structures to effectively address the dilemmas of our crucial historical moment. Registering an eco-feminist consciousness, the narrators of these poems expose the intertwined vulnerabilities of women, animals, and the land to masculinist agendas of mastering nature for profit. Poems in the opening section explore the ways powerful elites compromise the habitats of human and non-human animals alike. The lives of tethered foxes, bewildered squirrels, displaced buffalo, and factory-farmed turkeys echo the lives of ordinary citizens experiencing degradation and disenfranchisement in the face of climate change, war-mongering, and political corruption. Thus, an old woman rakes leaves before dawn after a disappointing election, a gardener mulches roses with newspapers recording dire headlines, and a meditation student struggles with the consequences of a military invasion. After establishing this broad context of ecological and political crisis, the collection moves on to poems of interior struggle where narrators confront grief over the loss of loved ones: an old friend dies suddenly and unexpectedly, a beloved cousin falls victim to domestic violence, a friendship dissolves in the aftermath of misunderstandings. However, the poems in this section also evoke the power of animal companions and the natural world to teach alternative relations to others, to the land, and to the self. A dying dog re-grounds his human companion in their mutual habitat, a garden landscape reorients the gardener to the limits of a friendship, and dreams suggest transformative routes through interpersonal conflicts. Finally, in the third section, joyful alternatives emerge. A woman rebuilds her relationship with her mother in the process of reconnecting with her local habitat. Narrators explore creative opportunities for transformation, establish their ethical bottom lines, and re-affirm their interconnectedness with all creatures on a living, responding planet. One narrator learns to can fruit for the first time, and in the process she rediscovers her love for her mother and her land. Another narrator reconnects with the sexual currents in her own body. The volume concludes with a poem depicting the held breath of a crowd watching the escape of a rabbit who has found a way to survive in an inhospitable urban environment. Poems. Oh, how they grab you and won't let go. Their powerful words form vivid images that you can't shake from your mind. And the raw emotion that spills from the pages drips slowly and steadily into your subconscious. Poetry feeds you in ways that other books can't seem to. They reach you in ways you never imagined. Seriously, they really do. I mean, I found myself obsessed with this book - to the point that I was turning to it on a daily basis ( I only just stopped last week). I just couldn't help myself. Its like I would read a stanza or two, and start thinking about something from my past. Or, the words would connect to something I was watching on the news. It was addictive! I won't see what I see. She's flecks of paint on my shoes. with provisions for the end of the world. Anger stokes me all morning. What do you think? Pretty amazing, eh? Makes me want to read To The Lighthouse and it also makes me think about a boy I knew in college named Simon (he was a rather arrogant chap). Don't you just love it when you read something and it makes you want to read something else? Well, Kirkpatrick's poetry certainly does that to me. you will love this book! And, if you don't believe me, then check out the TLC Book Tour page for the tour schedule and read some other reviews about this amazing book: Our Held Animal Breath. And now I'm off to read some lighter fare, perhaps something in the chick lit/women's fiction genre. Happy reading!! This really was a powerful collection - no doubting Kirkpatrick's feelings! 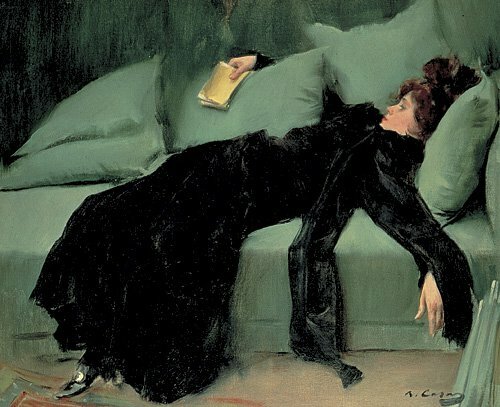 Wow, sounds like these poems really had an impact on you! I should read more poetry. When I was younger I could concentrate on poetry for sustained periods of time. Seem to have lost that now!